Getting ants out of the house can be a hassle sometimes but if you know what they don’t like, then you can get them out of your house. The first thing you want to do is find out where the ants are coming from. None of the tricks below will be very effective if you don’t know where the ants are getting into the home. When you have a pretty good idea how they are getting into your home, it is time to slice some cucumbers. Put these slices of cucumber around the cracks and near doorways in your home, because ants have a natural aversion to cucumbers. 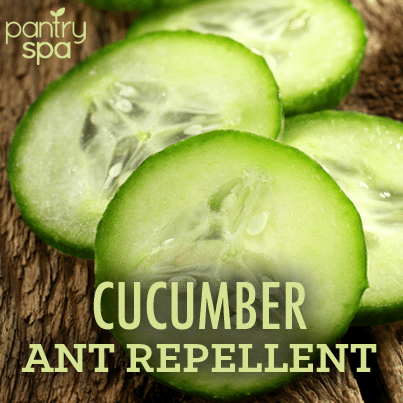 Did you know cucumbers will prevent ants from entering your house? There are a lot of other ant repellents like cornstarch and black pepper.